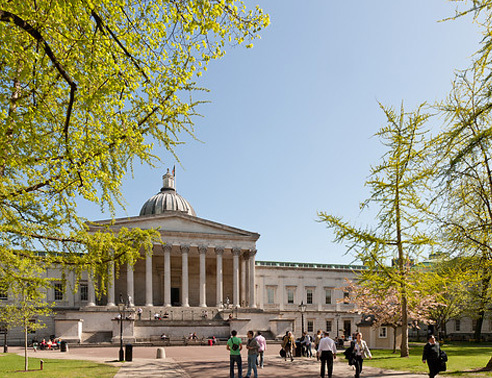 It is vitally important that UCL is able to offer all staff a secure and sustainable pension. I recognise that much of the dispute is focusing on questions raised about the valuation, the need for change and the details of the proposals put forward by Universities UK and the University and College Union (UCU). We have compiled all the information for you to look through in our pensions hub. All private pension schemes such as USS are required to carry out a valuation every three years and scheme trustees must be assured that the pension is sustainable. The 2017 valuation has proved to be more difficult than expected as economic conditions have not improved as anticipated since the last set of changes to the scheme. The scheme has a £6.1 billion deficit (if the current proposals are accepted) and there has been an increase of more than a third in the cost of future pensions. To maintain the scheme as is, contributions would have to rise by approximately £1 billion per annum. A sustainable solution needs to be reached by 30 June 2018 when, by law, the valuation must be completed. As Universities UK have said: "only the government could guarantee the level of financial backing for a defined benefit scheme to achieve a sufficiently manageable level of risk, and USS is not a government-backed scheme. The only options to address the funding challenges are to increase contributions to the scheme substantially or change the future benefit structure. If an increase in employer contributions were to be imposed, funding would have to be found from elsewhere in university budgets - from teaching and research, from staffing costs and from student services. It could lead to widespread redundancies, hurting both staff and students." I wanted you to see this quotation from Universities UK in its entirety. We are not anticipating such measures at UCL, but it is important to understand that this is a risk elsewhere in the sector. The USS scheme is used by 350 employers nationally, and a solution needs to be found that is sustainable for all of them, and for their staff who are members. The Universities UK proposal was developed over the course of a year with more than 35 meetings with UCU which led to multiple revisions. Ideas have included exploring alternative models for risk sharing, a framework for the future re-introduction of meaningful defined benefits if economic and funding conditions improve, how deficit recovery contributions can be kept as low as possible, so that a greater proportion of employer and employee contributions supports future benefits and options for de-risking investments. There is another meeting scheduled to take place tomorrow, Tuesday 27 February, between Universities UK and UCU to talk about the future of the scheme. Last week Universities UK shared an open letter to USS members which is available on their website and I would encourage you to read the message outlining their position on the dispute and the basis on which they are asking UCU to engage with further talks. They have also issued a press release re-emphasising the desire to "meet to engage in serious, meaningful talks on the future of the USS pension scheme." I am hopeful these continued talks will be successful as a proposal must be agreed upon so that the process of a formal consultation can begin. I continue to encourage scheme members to participate and share their views to help shape an outcome that works now and for future generations. Finally, I recognise there are significant human consequences of this dispute, particularly on our students, but also our staff, whether or not they are participating in industrial action. This is a complex national dispute and against this background we are pleased that Universities UK and UCU are planning further talks and we hope that further progress can be made.